Still, 216 million new cases of malaria were reported in 2016, the latest data available. Most of them occurred in Nigeria, the Democratic Republic of the Congo, Uganda, Ivory Coast and Mozambique. And of the 445,000 people who died from the infection, about 70 percent were children under the age of 5. If malaria is a curable disease with effective treatment, why does it still kill so many? Our research on the pharmaceutical industry has revealed that one reason for malaria’s continued virulence in the developing world is ineffective medicine. In fact, in some poor African countries, many malaria drugs are actually expired, substandard or fake. Globally, some 200,000 preventable deaths occur each year due to anti-malarial drugs that do not work. Substandard and counterfeit medicines may be responsible for up to 116,000 malaria deaths annually in sub-Saharan Africa alone, according to recent World Health Organization estimates. Fraudulent pharmaceuticals are on the rise. Reports of counterfeit or falsified anti-malarials rose 90 percent between 2005 and 2010, according to a 2014 article in the Malaria Journal. In 2012, a research team from the U.S. National Institutes of Health found that about one-third of anti-malarial medicines distributed in southeast Asia and sub-Saharan Africa were of poor quality. A few years prior, fully 44 percent of anti-malarial supplies in Senegal had failed quality control tests. For as long as effective medicines have existed, people have produced fake versions. That’s because counterfeiting pharmaceutical drugs is profitable business for manufacturers. This illegal activity is most common in places with little government oversight and limited access to safe, affordable and high-quality medicines. Various reports have found that many fake medicines originate in India, followed by China, Hong Kong and Turkey. Some illicit drug manufacturers appear to have connections with organized crime groups. 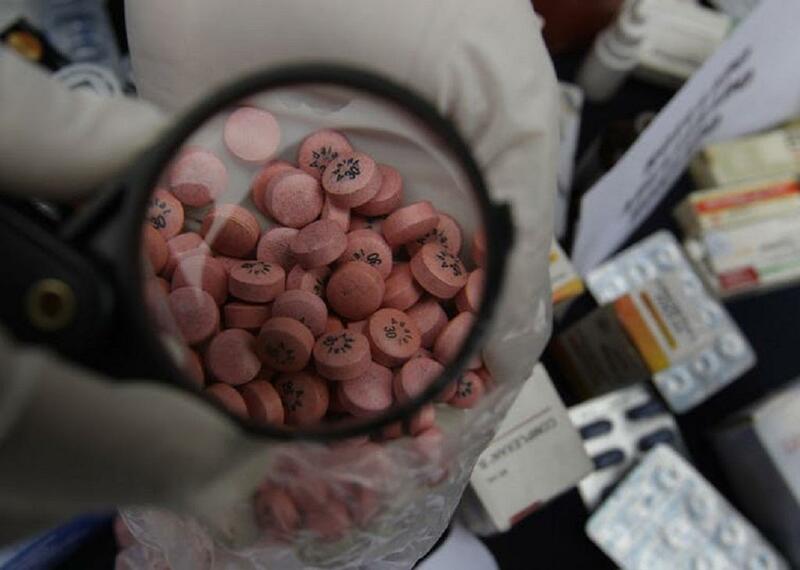 It’s a good racket: Public officials in the developing countries where these medicines are distributed typically struggle to detect and investigate the crime – much less prosecute it – due to lack of funding and regulatory restrictions. Generally, fake malaria drugs imitate one of two types of common antimalarial medicines: quinines and artemisins. Quinine and its chemical derivatives are derived from the bark of the South American quina-quina tree. Artemisinin is isolated from a variety of wormwood. Both medicines, which cost between US$12 and $150 per course, are affordable to rich-world patients but largely inaccessible to people in countries where malaria is most widespread. Quinine was first used to treat malaria in the 17th century. Synthetic quinine-based drugs became available in the early 20th century. The most common is chloroquine. Artemisinin came about in the 1970s, though it had been used as a traditional Chinese medicine for hundreds of years. In combination with other anti-malarials, it is now the primary treatment for malaria, largely because it has less severe side effects than quinines. What is a substandard medicine? Poor quality medicines – not just for treating malaria but in general – usually fall into one of three categories. Medicines may be falsified, meaning that the treatment has been deliberately and fraudulently mislabeled with respect to identity, source or pharmaceutical content. Some fake drugs contain no active ingredients at all or contain them in incorrect amounts. This is generally a scam to earn money illegally. Anti-malarial drugs distributed in the developing world may also be substandard. Such drugs are produced by legitimate manufacturers but are not compliant with World Health Organization standards. Frequently, they are short on artemisinin, the key active ingredient. Such medicines, which may be produced deliberately or unintentionally, do not prevent malaria in the individuals who take them. Worse yet, they can lead the malarial parasite to develop drug resistance, a significant danger for everyone who lives in a place affected by malaria. So far, resistance to drugs derived from artemisinin has only been reported in southeast Asia, but doctors fear resistance will spread. Finally, medical literature shows that some anti-malarial drugs found in poor countries have either expired by the time they reach consumers or been damaged by exposure to extreme heat. Ineffective malaria treatments – whether fake, substandard or degraded – are also expensive for consumers and national health care systems. Patients who unwittingly purchase ineffective anti-malarial drugs are out of pocket for medicines that do nothing. Then, they pay for additional treatments when the first course of medicine fails. According to the World Health Organization, repeated medical treatments due to ineffective drugs is estimated to cost to sub-Saharan African patients and health care providers as a whole about $38.5 million annually. The problem of fake and substandard malaria drugs is so widespread that the World Health Organization, Global Fund and the United States Agency for International Development have all developed guidelines regarding the procurement of malaria medicines.